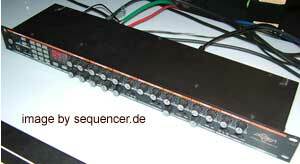 Dieser lustige Kasten mit Synthesizer, Sampler und Sequencer/Tracker an Bord hat es offenbar geschafft. Ein wenig C64 Feeling gibt es – für „live“ Performance mit Sampling und endlich mal mit Knöpfen, sodass man tatsächlich Knöpfe drehen kann und nicht „programmieren“ muss. 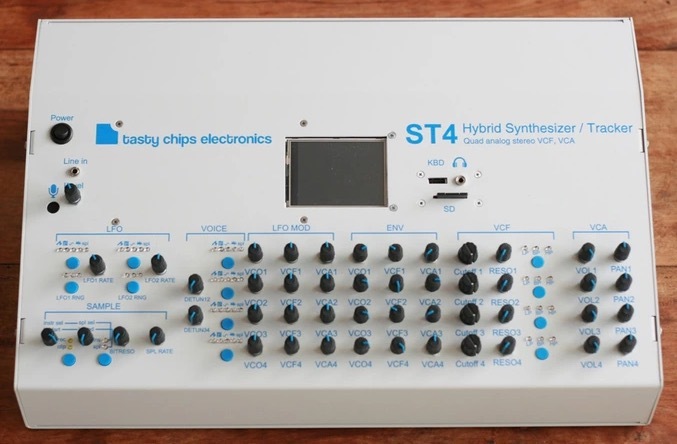 it has reached the goal – the ST4 synth which is basically a synth like the SID in the C64 and also offers sampling and has a sequencer. Finally with knobs so this is a full blown chiptune station with a lot of stage „smell“. components can be chained – like 2 OSCed pairs etc..